I find myself along with others caught up in quite absurd activity as ‘ the Christmas rush’ bears down. I discover that in this maddness I have no evenings free before Christmas and wonder how much of this is of my own making! An early flurry of snow last night took me back to my childhood and our open fire – filled with coal not wood as in this image. 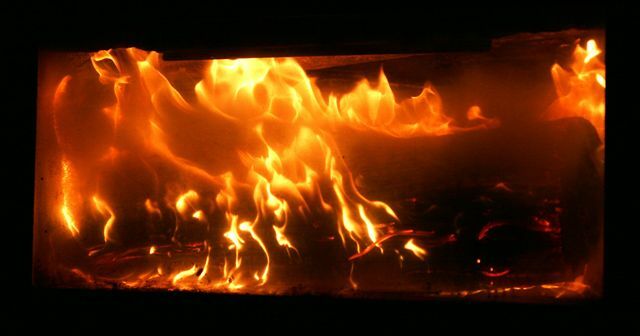 The heat and warmth and reassurance from a coal fire is one of those extraordinary experiences of life….my only essential requirement from a retirement house will be an open fire! The fire somehow slowed things down – it transfixed its glow and helped those in the room to stop and wonder. Contemplation – the here and now – the nourishment that comes from Doing Nothing ( as Stephen Cottrell puts it in his book Do Nothing to Change your Life ). We all need to slow up and dig deeper – allow some time to wait and wonder – and see what emerges from this process. once, but it is the eternity that awaits you. One of the things that older people teach me is the deep joy that can emerge out of this waiting and contemplation of the ordinary in everyday life. Its there if we will but stop and see and wonder. Do any of us know what we believe in? Perhaps all writers ought to be encouraged to be able to express their ideas in smaller and shorter books. Richard Coch and Chris Smith achieve both clarity and brevity in their book Suicide of the West (Continuum, 2006). A hundred years ago most Westerners felt tremendous pride and confidence in their civilisation. They knew what it stood for and they believed in it. Today that sense has gone. Coch and Smith identify six key pillars of Western civilisation: Christianity, optimism, science, economic growth, liberalism and individualism. They show how these ideas have suffered a century of sustained attack from within and no longer inspire or unite the west, making a drift towards collective suicide appear almost inevitable. They carefully examine each of these six factors and show that they have great resilience. They argue, convincingly, that much of today’s hostility to the ideas –is based on fashionable concepts which a great deal of scientific evidence rebuts. It is their theory that a more sophisticated synthesis of the six ideas could provide a way for the west to recover its nerve and integrity. In this pocket-sized book horizons really are expanded and I was particularly interested to read chapter 2 about Christianity where the authors argue that nothing is more fundamental to the successes, excesses and failures of the West than Christianity. They describe the origins and development of Christianity with some skill, highlighting some of the core beliefs of this religion. They also show that Christianity is, in the end, a religion that has action implications for the believer. 2. Use Christ’s power to change. “God is doing better than the Churches. The liberating spirit of early Christianity; its invention of the inner self; its stress on individualism, rejection of authority and love in personal relationships; its demands for compassion and equality for the downtrodden; and its promotion of self-discipline and self-improvement, have had a determining influence on the whole of the West, making it not just more successful than other civilisations, but also, at least to western judgment, far more pleasing. Christianity has burst the banks of the church, even of all religion. A sense of responsibility derived from thinking for oneself, and emerging from one’s struggles in life, is likely to be deeper than one derived from obedience to authority, and , what ever one’s beliefs, be closer to the spirit of Jesus” (page 48). I wonder what all this church-going means for an individual and their lives and actions? I wonder what this radical message might say to those within the church who seem set on destructive internal conflict?